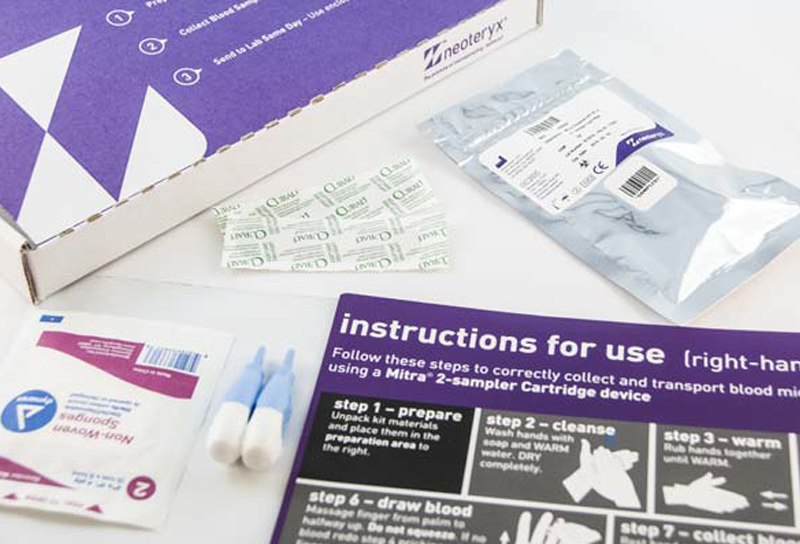 Mitra® Collection Kits provide all the essentials for easy remote sampling, with branding and instructions created to suit your needs. 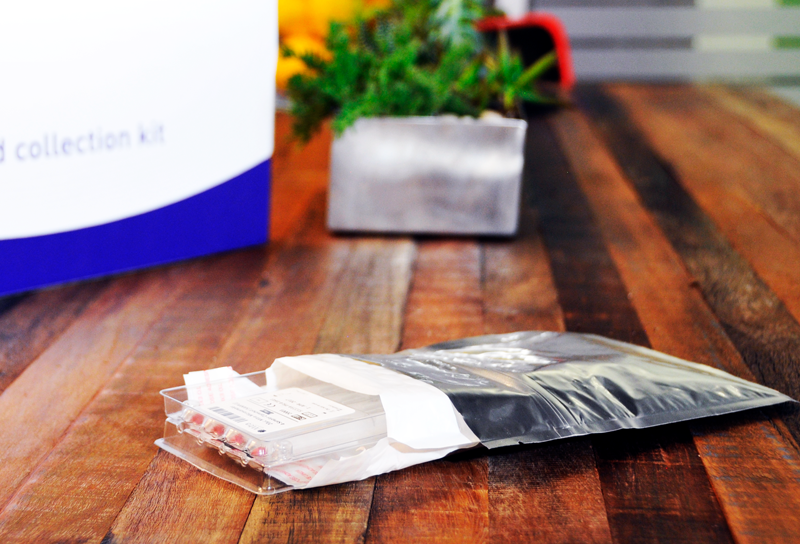 Blood collection kits are a novel, economical, and convenient all-in-one solution that includes all the essentials for biological specimen collection, transport, and storage. Manage chain of custody with native barcoding. 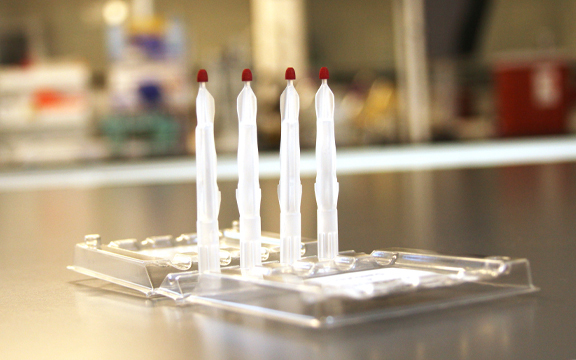 Collect samples anywhere, anytime, by anyone – no phlebotomist, courier, or dry ice required! "VAMS technology allows convenient at-home monitoring and is minimally invasive. 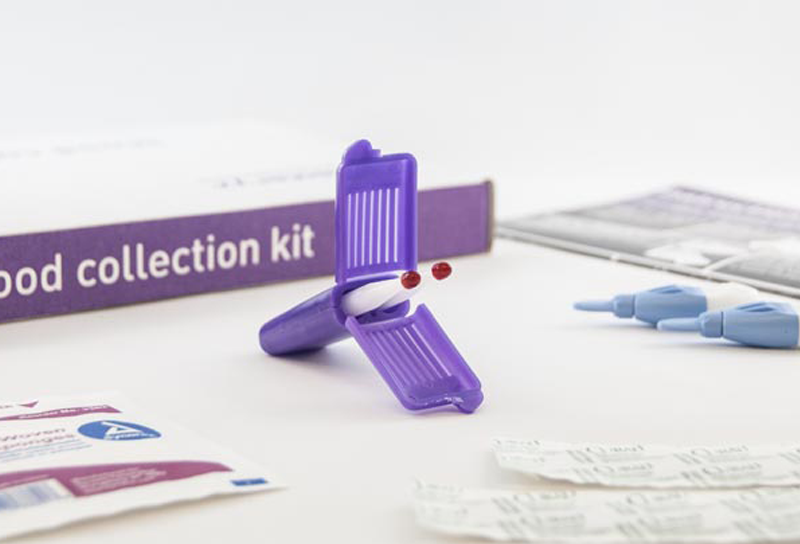 It also offers efficiencies in the clinical setting, as providers will have blood results in hand before meeting with the patient." 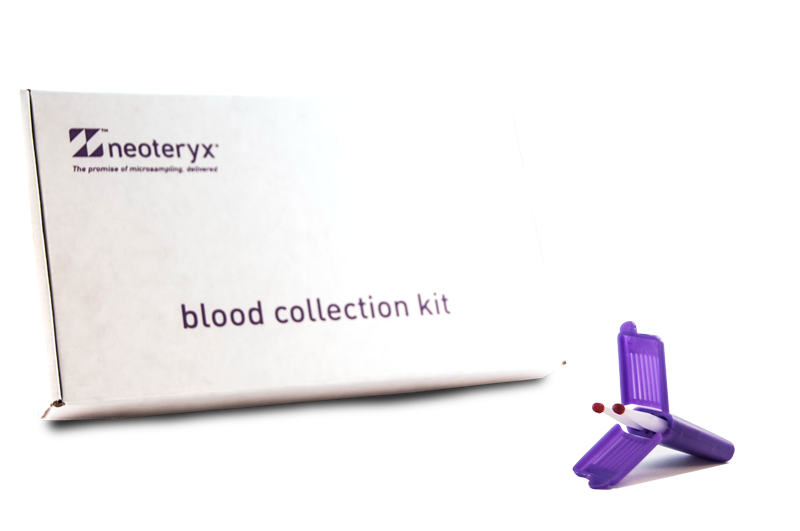 Mitra® Blood Collection Kits are a convenient and economical remote specimen collection solution. 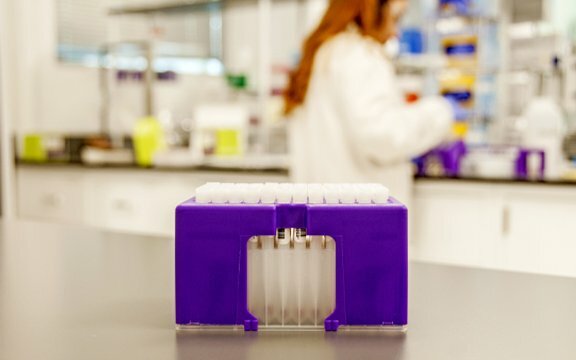 They dramatically improve the participant experience and potential recruitment pool for clinical trials, making the process easier for those who can't travel or who live in rural or low-resource areas. 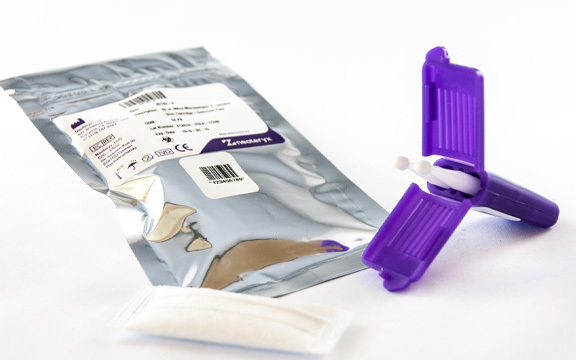 VAMS™ technology is well suited for at-home sampling, with revolutionary implications for therapeutic drug monitoring, pediatrics, telehealth, and more. 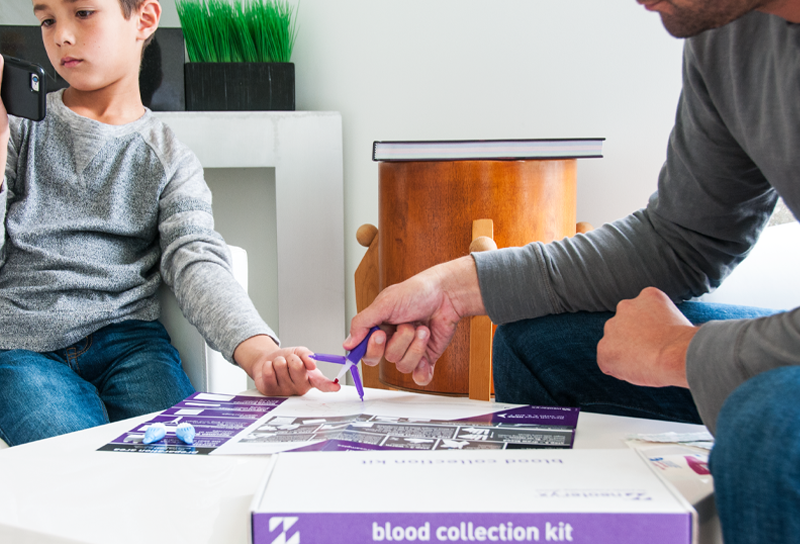 Collection Kits are an all-in-one solution that allows you to help open new pathways of care and be part of a shift in how we think about health.